When GP students think of science and technology, they often think of the iPhone and the Playstation VR. Well, don’t forget sarin gas, or the almost 10,000 kg, 30-foot long explosive known as the Massive Ordnance Air Blast (MOAB) bomb (nicknamed “Mother of All Bombs”) used by the US military against ISIS in Afghanistan. Even the seemingly simple assault rifle with its receiver, charging handle and firing pin can cause so much human agony, anguish and loss. Contemplate the suffering of Mr Youssef (in this Telegraph article) and write your GP essay with human feeling. Of course it is important to be logical, but being logical doesn’t mean expressing yourself in an emotionless manner or writing like a cold aluminium robot. A GP essay is an English essay, not a physics or economics essay – it is meant to be a work of art. You are trying to persuade human readers on subjective issues in a kind of written conversation, and it is very difficult to do this if you write in an unfeeling way and make no emotional impact. Therefore speak from the heart and soul as well as your head, without sacrificing logic. This ability to influence people both in the mind and heart is part of the magic of GP. Imagine the value of this skill in your life, now and in the future. In an ever more competitive world, soft skills such as communication will provide more and more of an edge. This is why I often tell my students that General Paper could be the most important subject they’ll ever take. Let me attempt to illustrate this with an argument in response to the essay question “Which is more important for the well-being of today’s world – the arts or the sciences?”. I will try to create emotional impact while remaining factual and logical (the parts with emotional power are in italics). Look at the men and women, boys and girls [a more visual expression than just ‘people’] around us using their electronic devices slavishly, allowing it to take over their lives [greater impact than “becoming obsessed”]; warmongers [more impact than ‘aggressive leaders’] recklessly using high-tech weaponry and causing the death of thousands of innocents [more emotional effect than “many people”]; and human beings causing the release of carbon emissions selfishly through the excessive use of cars and electrical applicances, destroying the earth for their own personal comfort [this sounds a bit judgemental, but it delivers a punch hopefully without being too offensive to the people it’s describing]. This serves in my view as ample evidence that the advance of science has outrun [a more visual expression than just ‘overtaken’ – it creates the image and feeling of someone running] humanity’s wisdom, its capacity to deal with science with moral, emotional and philosophical maturity. If this continues unchecked, there will be even more devastating [a much more emotive word than ‘severe’ or ‘destructive’ – yet it is perfectly objective and justified, no exaggeration] impact on the well-being of today’s world. Thus I am convinced that the arts, which have tremendous power to awaken the conscience [more emotive than ‘raise moral awareness’] and deepen the thinking of humankind, are more integral [high class word!] than the sciences to the welfare and health of today’s world. GP or English tutors keen to be listed on this website (consistently ranked top 5-10 on Google for GP tutors/ tuition) as a Recommended Tutor, please email stevenooi18 @ yahoo.com (remove the spaces). Those interested in having links to their website are also welcome to contact him. 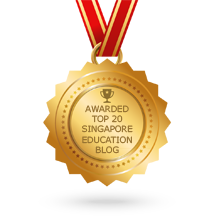 This entry was posted in Advice on GP, Recommended Articles and tagged best gp tutor in singapore, gp tuition, gp tuition assignments, gp tuition jobs, gp tutor. Bookmark the permalink. I had stumbled onto your blog quite a while ago, and I am deeply impressed with the content in your website. While I had graduated from JC many years back, I have realised the importance of good and succint writing in our everyday lives. Thank you for this indispensable resource to brush up on our knowledge and skill of writing, and please continue loving and doing what you do. You are doing more than just educating young, pre-university students. Indeed, learning transcends any time and season in our lives. Thank you for your kind words Joel. You’ve really made my day. 🙂 I’m really happy that you see the importance of good writing. Language is culture, and culture is one of the things that differentiate humans from animals. A society that respects language is likely to be one that is more civilised and one whose members build stronger bonds with one another.